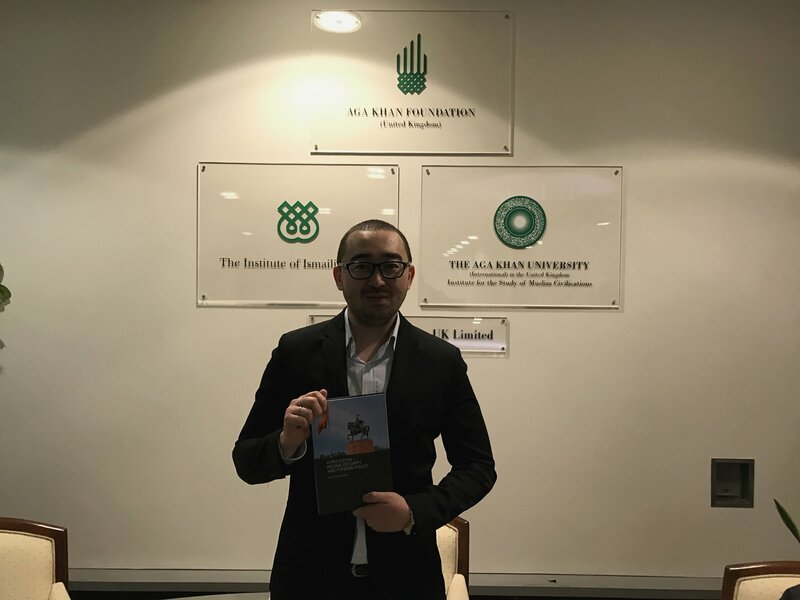 Congratulations to Kemel Toktomushev on his recently published book, Kyrgyzstan: Regime Security and Foreign Policy (Routledge, 2017), based on his PhD dissertation completed at the University of Exeter in 2014. Kemel’s book presents a comprehensive study of Kyrgyz foreign policy from the early 1990s to 2011. It addresses the question of how and to what extent does regime security affect Kyrgyz foreign policymaking. More than that, it contributes to our understanding of the foreign policy of weak states across the post-Soviet space. Notwithstanding a myriad of studies on weak states, the analysis of their foreign policies is limited and mostly characterised by idiosyncratic, reductionist and great power approaches. Kemel’s interpretive and inductive framework is integrative of both internal and external variables. He identifies and properly contextualises causal mechanisms which explain the international behaviour of Kyrgyzstan in broader and more convincing terms that IR theory which presumes ‘national security’ or ‘national identity’. Kyrgyzstan: Regime Security and Foreign Policy argues that processes of rent-seeking and virtual politics exceed more traditional geopolitical and critical geopolitical explanations in the context of weak states in general and Kyrgyzstan in particular. We congratulate Kemel on this considerable achievement.